I'm still in the learning area but I was like "screw it, I'm just gonna do songs". I can play sunshine of your love intro and i love rock n roll intro. I usually do not have time to practice because of homework n such. Congratulations on your decision to learn to play guitar. It is a quite versatile instrument and to learn to play at any level will allow you to derive much personal enjoyment for yourself and hopefully others that you can entertain. As you have discovered, learning to play the guitar takes a great deal of commitment, practice and time. You are teaching your brain to get your fingers to do very strange and unnatural things that are in no way related to normal daily survival activities. It can be frustrating -especially in the beginning. It sounds like you are beginning to learn to play your guitar in a way that results in something that sounds musical. And you are probably experiencing a certain feeling of accomplishment and some satisfaction that you have progressed from only making noise with your instrument to the beginnings of making music. You need that sense of reward to nurture the encouragement within yourself to continue practicing and learning. So I would suggest that a learning approach that revolves around learning songs instead of learning chords, notes, theory and technique has some validity. But having at least a very basic foundation to build upon - such as learning some basic chords, will allow you to learn more songs faster. My best advice is to abandoned any idea of instant gratification and commit to the idea that learning guitar is a slow process in the beginning. It gets exponentially easier to improve your skills after you get past the huge hurdles you encounter in the beginning. Think of where you presently are in your journey as merely preparation and training. You are getting in shape to learn to play by developing some basic skills and building finger strength and callouses and coordination. Progress will be very slow in the beginning but if you persevere, you will reach a point where progress comes at a far more rapid pace. To me the easiest way to learn to play songs on the guitar is to learn a few basic chords. You can even start with power chords. It may be helpful to set a goal of learning the I - IV and V chord of a particular key and then learning to transition between those three. In the key of C that would be I = C IV = F and V = G. Once you learn the basic I - IV and V chords and develop the ability to transition between them, you will know how to play all the chords required to play literally thousands of songs. If you accomplish that one small goal (learn three chords), it will pave the way for you to learn a whole bunch of songs you like and help you develop the passion and desire to continue your journey, which will provide opportunities to continue to learn and improve for the rest of your life. Since you are a beginning guitarist, you may not yet be familiar with which chords go with which key. 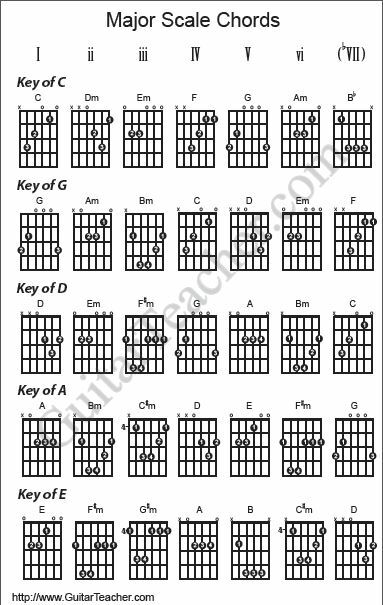 So I have posted a chart below which will help with the most common keys used by guitar players and also shows the fingerings for common voicings of those chords. Have fun on your journey towards becoming a guitarist! But remember, it may not come overnight. A question which causes much thought and divide! Catch 22 to a degree: you can't play songs till you've learnt some chords, but just knowing some chords will mean you actually can (though you are not aware of it) play loads of songs. There is a plethora of songs out there with only three chords (some with only two!). Their differences are that the order of chords is slightly different for each - with the exception of the thousands of 12-bar tunes! Just knowing three chords will enable you to play all of these, albeit sometimes in a key that doesn't suit the song too well. As Rockin Cowboy illustrates, chords come in 'families', so if you understand that, songs become far more predictable. Sometimes I play with others, and when they try to explain that this new song 'has G, C and D in it', all I need to know is the key - in this case, G. The other two chords are virtually inevitable, but that fact seems to have escaped them! So, learn chords, along with their related chords, and many, many songs will be at your fingertips, even songs you don't know or haven't played yet. As a teacher, I've shied away from teaching songs for learning the particular song's sake. There are many guitarists out there who 'haven't learned the chords to that song,so I can't play it'. Usually they actually have, but don't understand how to put them together to make that song. Also, learning a song generally means putting the particular set of chords in one order. Change key, and the fumbling starts. Use songs as vehicles, certainly, and have fun playing them, by yourself, with friends, but get to realise that knowing what one chord sounds like after another will help you to play a new song almost spontaneously - a great trick to impress. Just learning songs will not give you much of a clue how music actually works, so you're better off using them to help learn music. obviously, you'll learn some songs to play along to, or with mates, but that's not the be-all and end-all. And it's not only the chords: learn pentatonics and you'll realise how many great guitarists use them in solos. Gilmour, Clapton, etc. Sunshine of your Love is pure blues scale notes! Learning just a song won't get you far, there will be a point where you just won't be able to learn a song because of its difficulty. First of all you need to learn some chords, scales and study a bit of music theory. Here's one example: Lets compare a song to a poem. You can learn a poem and keep saying it, but if someone asks you the meaning of the poem, you won't be able to say anything. If you just learn how to play a song without knowing any chords, it won't be any good for you. (Btw sorry for bad English) Also if you know the essentials, learning a song will get easier and easier. It is traditional to think that learning guitar initially involves learning lots of chord shapes. I agree that this can be a distraction, and for me, it made the guitar seem more complicated than it is. As well as (or instead of) learning lots of chords 'by rote', an alternative would be to learn a few scales, and learn how to construct chords from those scale shapes. So far so obvious, right? But what's easy to miss is that this same scale shape also gives you A major and D major - they are the same chord shape, just starting on different strings. Now it's true that they're not quite the same physical shape, but that's just because of the funny little tuning 'kink' between the G and B strings (See Why is the guitar tuned like it is?). Once you iron that out, E, A and D are the same shape, as are the barre F and B chords. 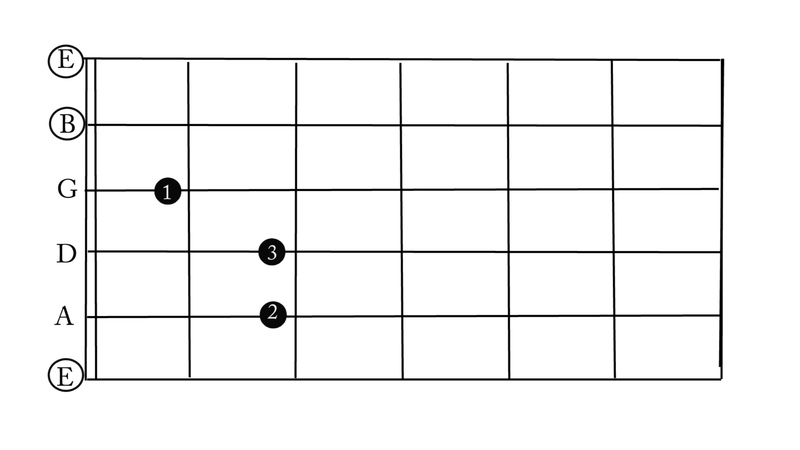 if what I've said so far makes any sense, you should see that this major scale shape corresponds to both the simple (open) C and G chord shapes. Not the answer you're looking for? 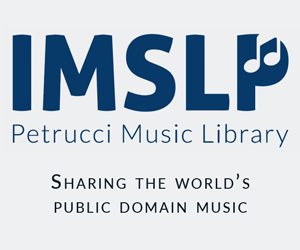 Browse other questions tagged electric-guitar self-learning or ask your own question. How do I make a guitar string easier to bend? What's the needed knowledge to play Over The Hills and Far Away - Nightwish version?